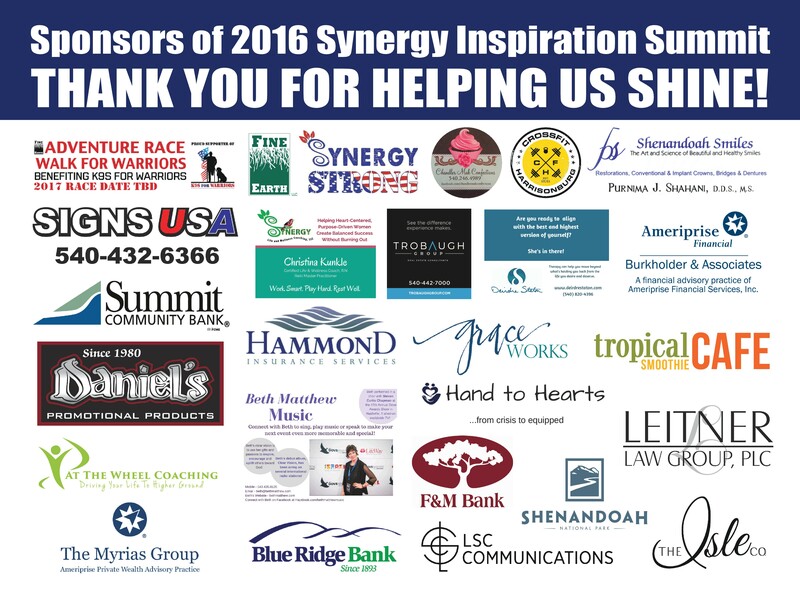 A Big “Thank You” To Our Shine Sponsors! 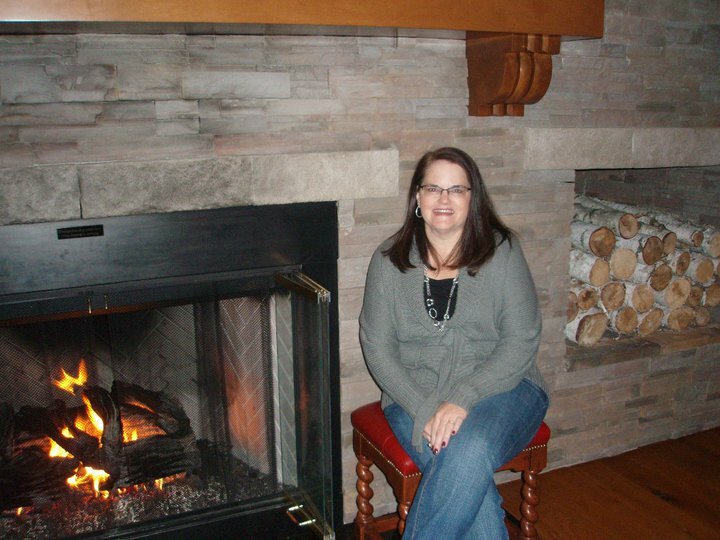 Synergy Success Story: Sandra Engle! a positive and energetic woman. and needed to take steps in correcting the situation! 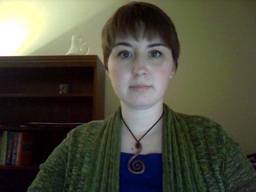 Christina helped me find more balance between my family, friends and career. that not only can I tell the difference – so can my husband. 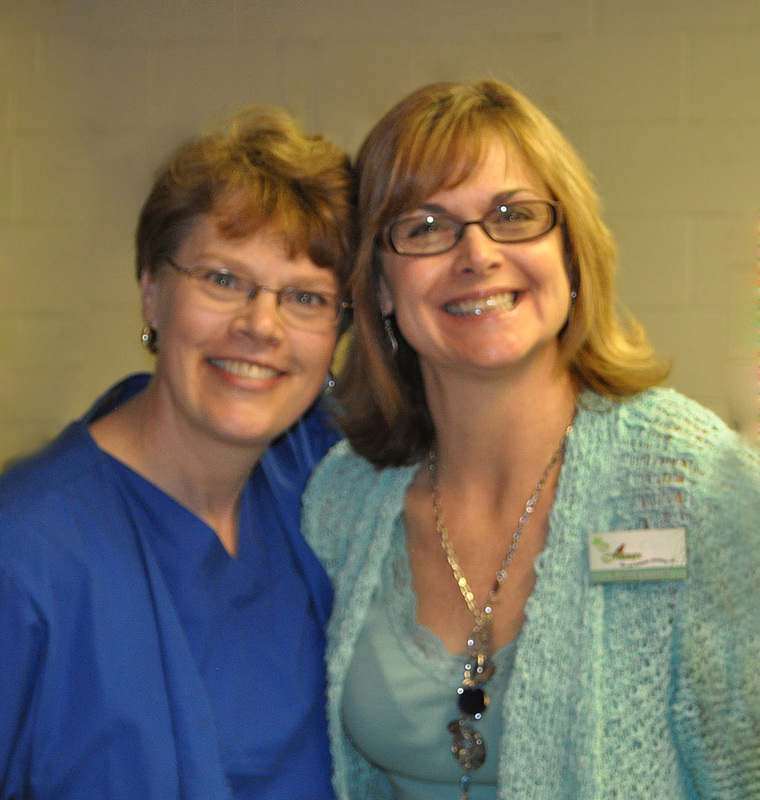 Synergy Success Story: Julie Jones! “I decided to reach out to Christina at a time in my life when I needed to make some changes, but was unsure how to move forward. I was stuck in several areas of my life, and needed someone to partner with me; to inspire and challenge me. Christina immediately gave me tools that helped me learn, allowed me to see things differently and move through some stuck areas. She helped me build courage to say no to things I had been afraid to and yes to some new things that would help me be a better version of myself. I am still moving through my professional growth journey, and still know I have lots of growth areas. But I’m so very, very grateful for our time together. My husband Darren says working with her has made a positive difference in our home life by helping me to establish clear priorities and develop a better balance. As I have grown, I am now modeling much of what Christina has taught me with my daughters as well, which is awesome. 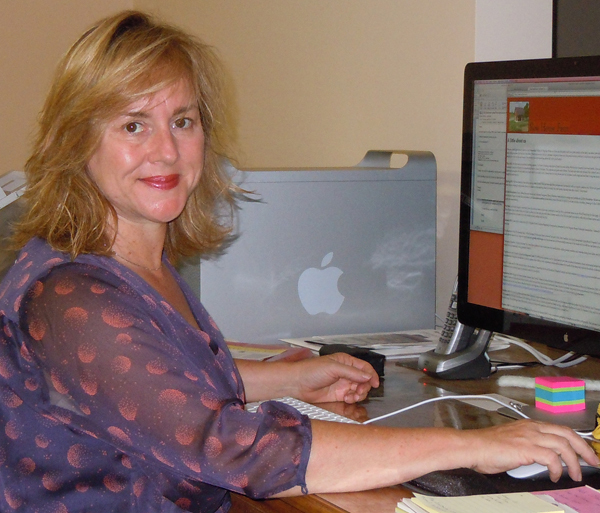 Synergy Success Story: Laurie DiSanto! 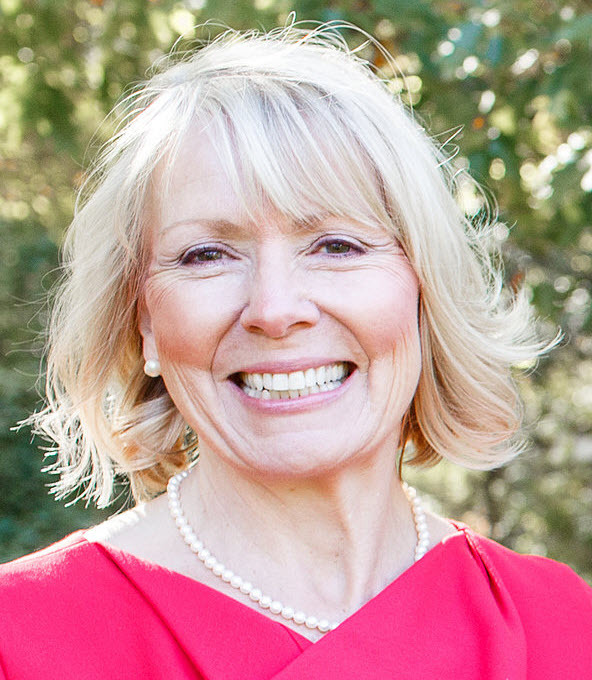 “I started coaching with Christina in July 2011, and together we went through her 6-month coaching program where I achieved major breakthroughs recovering from the death of my mother and the decline of my husband’s health and my elevation to caretaker. The lessons I learned from those sessions carried me well through the next few years. I continued to attend the Success Circle in the summer when in town, and met with Christina occasionally as a friend and fellow horse enthusiast. Staying close and in touch with her clients, and keeping that balance as friends, is a strong point in both her personal and professional life. In September of 2014 I found myself struggling again with my famous “disorganized thinking,” which for me is a response to a major lifestyle change as a caretaker, the increasing loss of freedoms, a change of goals, and the feeling of loss as goals I wanted were not possible anymore. In my case my husband’s health declined significantly and that travel and flexibility in the things I enjoyed doing were even more restricted. I also committed to a very challenging volunteer position on a board of directors in my community, which required much more of my time and emotion than I had realized. 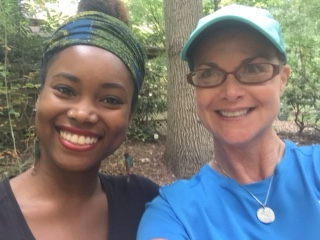 I invested in a year of coaching with Christina, and with that commitment came a marvelous discovery of new tools not only for myself, but also being able to observe her growth as a coach, an increase in the skills and tools she uses, and her dedication to herself in keeping her own “reservoir of resilience” filled to the brim. I’ve often pondered on how difficult it must be switching between each of her clients, their needs, their tender points, and how challenging it must be to be an “emotional leader” to other women of equal talent, purpose and accomplishment. She does it with grace and style and makes it look easy. She sets a high bar but shows you how to achieve within your own power. Together we defined the new goals and assessed what I needed to deal with caretaking challenges, changes in my health (in particular, increasing pain levels I was experiencing), as well as best practices for dealing with fellow volunteers. The EFT (Emotional Freedom Technique – Tapping) and the MMP (Meaningful Morning Practice) are two “forever tools” that carry me through each day’s challenges and help me keep an attitude of gratitude for each day’s joys and gifts. I cannot emphasize enough to anyone, whatever age, whatever work or profession you do, to get out of your spin, your stories, and “uplevel” to a greater purpose for yourself as well as those you love and influence. 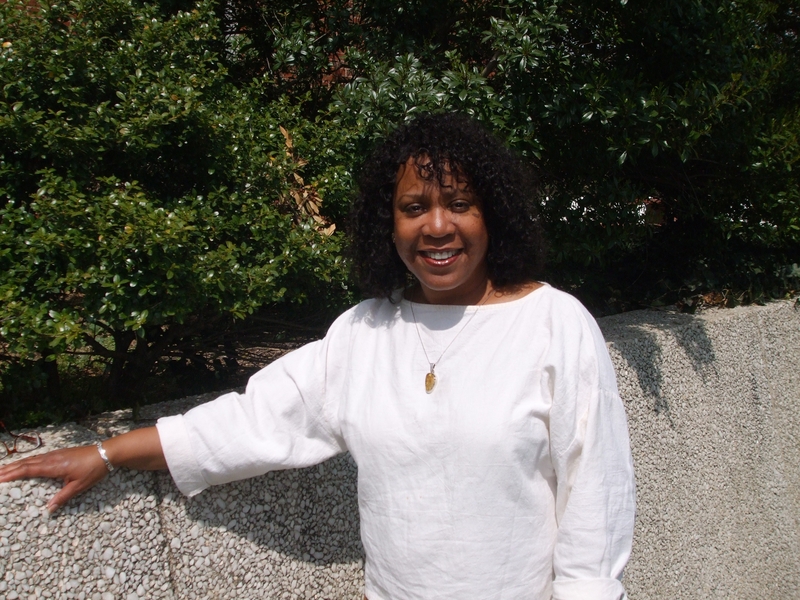 Synergy Success Story: DeAndra Gaines! 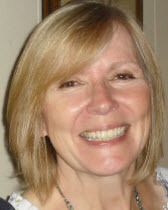 “I am really glad that I decided to try life coaching! It was nice to have someone check in and make sure that I was on track with my life goals. The activities and assignments helped me to actually take action on the changes I wanted to make and I could see them on paper. I will continue to use the tools that I picked up while working with Christina. 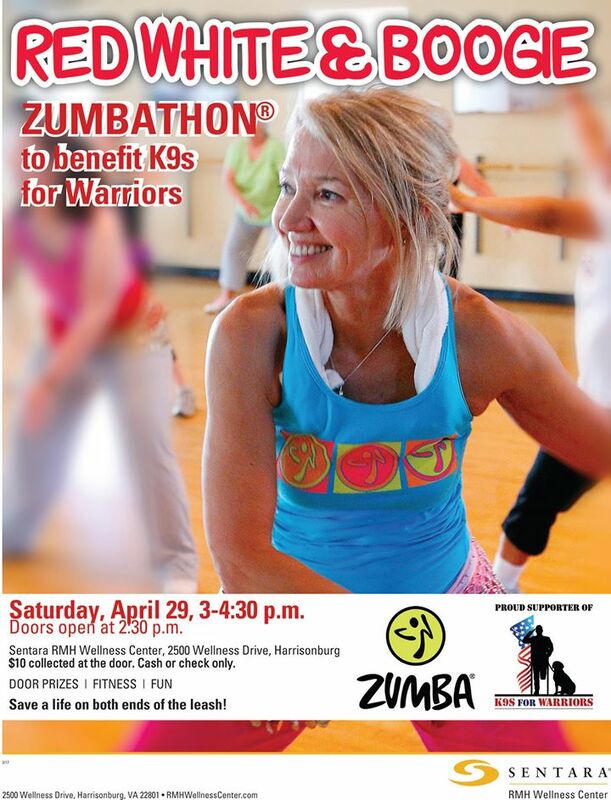 Synergy Success Story: Hannah W. Hutman! Additionally, Christina has helped me incorporate rest and recreation into my schedule, through her emphasis on creating a restorative lifestyle. Simply put, since I began working with Christina I have a new found appreciation for, and love of, all aspects of my life and it feels great! 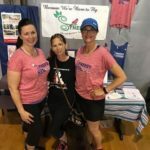 Synergy Success Story: Jennifer Cottrell! “Who needs a life coach?” As it turned out–ME! I was married for 24 years, owned a very successful business and also ran my husband’s art business. I had lived in Maryland for 23+ years and was very set in a routine. After a 2 year battle with kidney disease and a transplant, my husband passed away in April 2010. I was fortunate to have met a professor at JMU and we were married him in May of 2012. So my routine life took a WILD ride…. 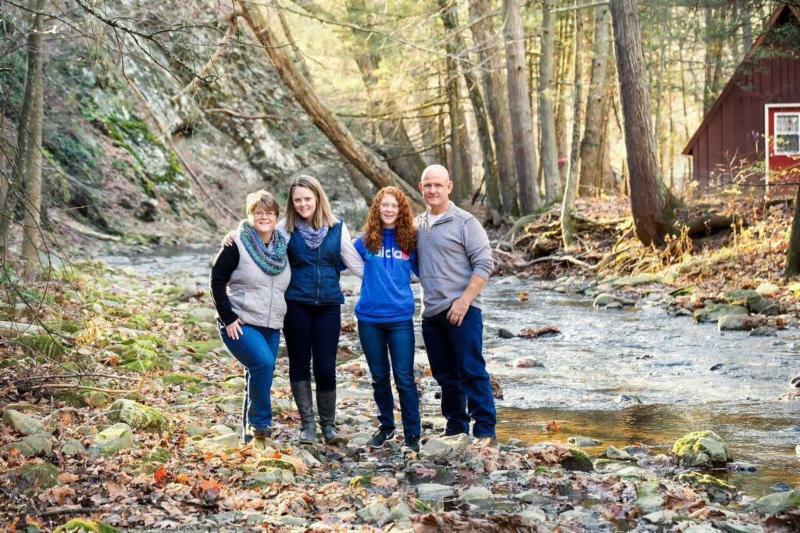 I moved to Harrisonburg, became “something” to 2 teenage stepdaughters (stepmother just seems to go with wicked), and had a business that suffered in the move. My life changed so drastically that I just felt like I was running in circles and kind of lost. I was happy but not settled. I met Christina in late 2012. 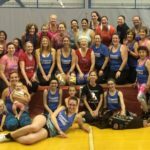 I had heard about Christina and Synergy Circle from a mutual friend, but forgot about it (remember – I was running around in my own circles!) until another friend suggested I go to Synergy Success the next day. I went and loved it. I immediately joined and have really enjoyed meeting all of the great women and feeling that sense of “finding my tribe”. Christina offered to meet for coffee. We met and talked, and I walked away thinking – Who needs a life coach? Later that year at a table-top Synergy event, after a conversation with Christina, I thought “Maybe I need a life coach!” Who knew???? We scheduled our first meeting and I have to say – it was transformative. I signed up for a 3 month package! Meeting with Christina is like therapy – but better. Unlike my experience with therapy, she gave me constructive things to do to improve the situation. Christina helped me gain focus and get back into that “routine” that I missed. I looked forward to each session knowing that I would gain tools to get my life more under control. I feel like a different person…. well maybe more like the old me in my new life. Instead of a feeling like a whirling dervish, I now feel in control. I won’t get on a soapbox, BUT if you haven’t met with Christina – stop what you’re doing and email or call her for an appointment. Who needs a life coach? ?…..maybe YOU! 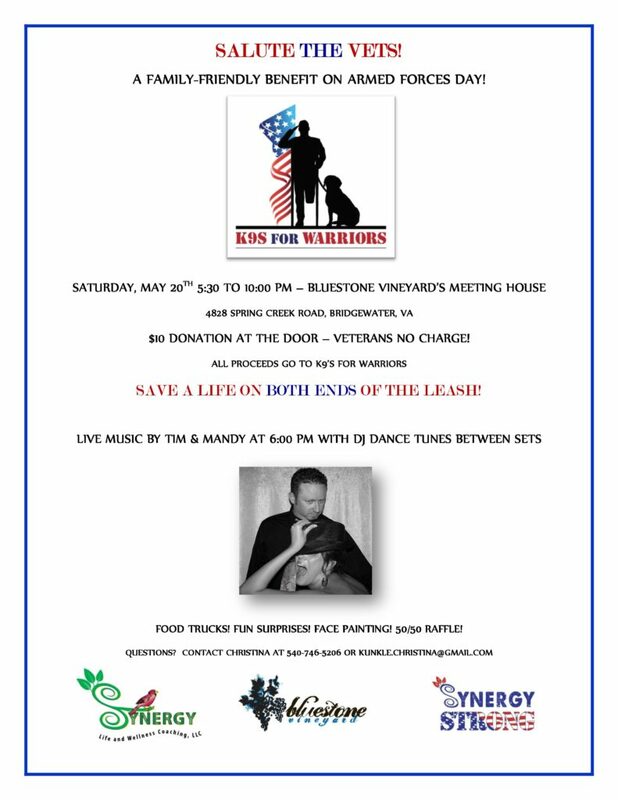 Synergy Success Story: Darcus Breneman! 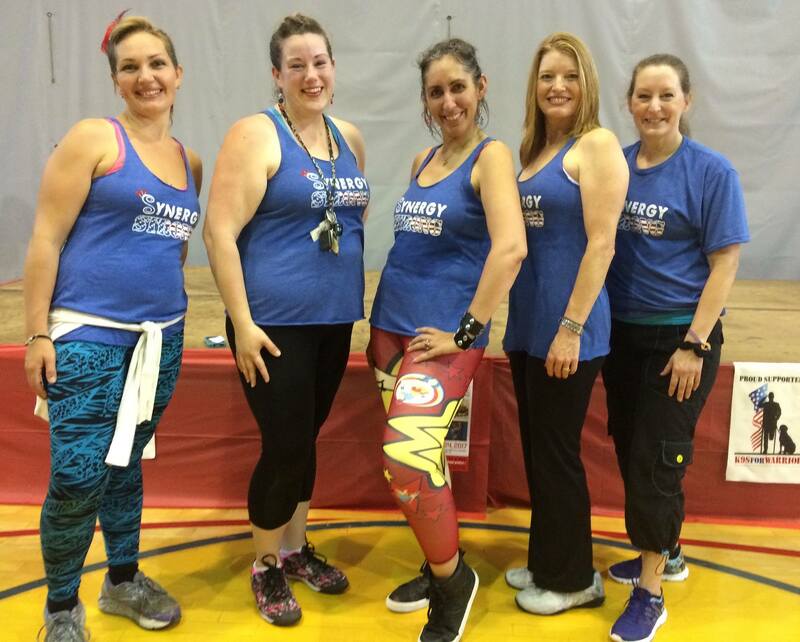 Synergy Success Story: Kim Tucker! When I met Christina Kunkle I was a depressed, vulnerable, dejected mother of three who’s husband had left for another woman. I had never shoveled snow or built a fire in my wood stove. I didn’t know how to check my oil or when to get my car inspected. I had all but given up on my life because I was convinced that I had little to offer and was unworthy of love in general. I have my Master’s Degree in counseling and had been in years of therapy but had not been able to figure out what I needed to do to heal and move through my pain to get to the other side. After working with Christina for 2 and a half years as my Life Coach, I can tell you that I did find out what I needed to do. Christina led me out of my “long dark night of the soul” and into a life that is worth living. She has brilliantly taken tools, skills, philosophies, activities, and knowledge, deeply woven with her genuine Spirit-led, heart-centered approach and guided me to an empowered sense of who I am and what I have to offer. Working with Christina requires effort and a strong desire to become who you truly are. Christina will keep you safe and stand in the gap for you when needed. Christina will hold you accountable and believe in your strength.You will never be judged and you will know that we are all perfectly imperfect in this flawed and fabulous world we live in. I can’t say enough about how much Christina has meant to me and I hope that you will decide to embark on your own journey with her. Get ready for the rest of your amazing life to begin! 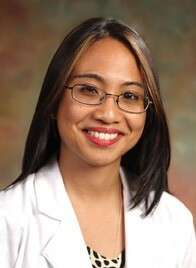 Synergy Success Story: Dr. Arlene McCain, M.D.! I had first heard of Christina and her work 2 years ago, through a patient that had glowing feedback about her experience with her. I had an intuition that I would one day meet her, and at social event 2 years later, I heard her introduce herself to someone. At that point, I did something I rarely do in social situations- I moved out of my COMFORT ZONE and introduced myself to her (even before we said a word to each other, her energy was reaching me!). Our conversation that afternoon came at a time when there was a lot of transition occurring at our office. Her wisdom about “giving from your overflow” resonated with me, because I was running on empty and didn’t have the clarity to know where to go next. We have worked together since October 2013, first with1:1 coaching, then synergy success circle, and now with the SOAR leadership program. She has introduced me to a support network of talented, inspiring women that I would never have been able to find on my own. The personal growth I have experienced in these months has been incredible. Christina has shown me valuable tools and helped me instill important habits to deal with personal and professional challenges and triumphs. Through my dedicated meaningful morning practice, I can greet each day with gratitude and hope, so that most days I am working from abundance and not emptiness. I have been able to define a core value offer that has become a mantra when the minutiae of life threaten to steer me away from balanced success. Through Christina’s wholehearted guidance and wisdom,I am integrating my inner and outer selves to become the whole person I had always thought I could be, and maybe even better than I could have ever imagined. 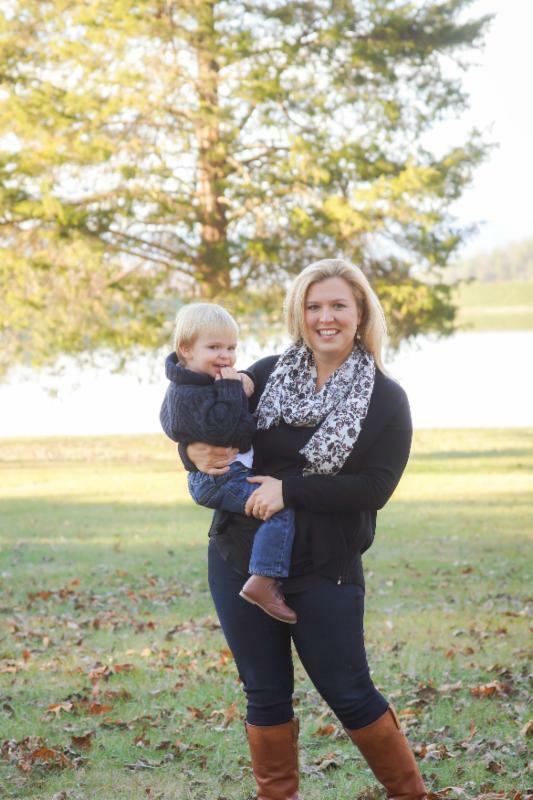 Synergy Success Story: Carrie Willetts! 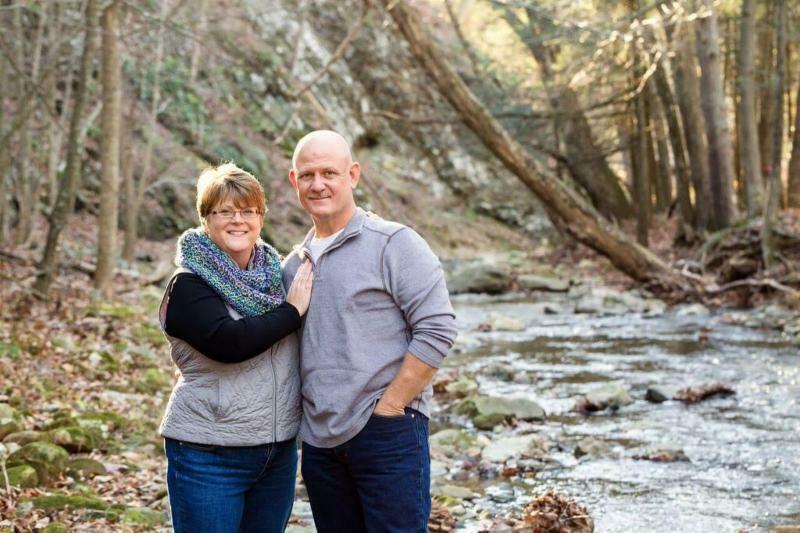 Synergy Success Story: Susan Null! “As a full-time working mom, trying to balance a demanding job, my family, and my home, I realized that I needed (and desired) to create more balance in my life. 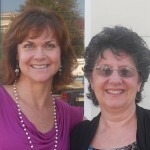 I entered into a 9 month coaching relationship with Christina at Synergy Life and Wellness Coaching. Through my coaching sessions with Christina, I was able to present different challenges I was facing that were causing unbalance and frustration in my life. She equipped me with tools and skills that were practical and effective. She also challenged me with hard questions. Through coaching I also uncovered several mindsets and ways of thinking that I had held tightly to for a long time that were misguided, and not serving me well. In fact they were trapping me because they kept me from working at my highest capacity. This investment made a huge difference in my life in so many ways. Synergy Success Story: Laura Dent! “Knowing Christina has been a blessing and a joy. Her positive inspiration and strong support have helped me find the courage to create my own business as a freelance writer. I’ve worked with Christina on several different levels over the past year. 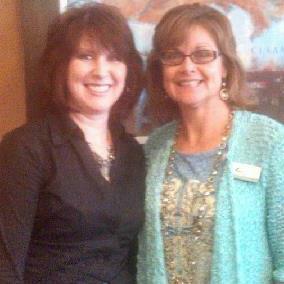 First, I found my way to her Synergy Success Circle, a monthly networking lunch for women. I had just been laid off from my job, and I wanted to “create new ways of working that sustain my life.” I knew I needed new skills to do that, and I gravitated to Christina’s positive energy. On my first visit to Synergy Success, I found my first freelance client, and won a gift certificate for private coaching with Christina! Those were the first of many magical manifestations that I’ve experienced through Christina and her programs. Next, when I sat down with Christina for that private session, I immediately burst into tears! Tears of joy and relief to find the support she offered. 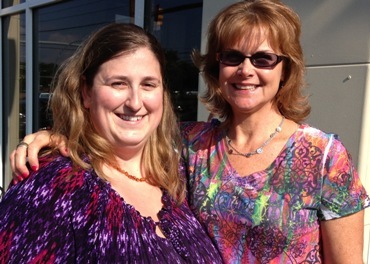 Thus I began a three-month individual coaching plan with Christina. I needed it! The concept of the Learning Zone is the most valuable tool I’ve gotten from Christina. As far as possible, she said, stay in the Learning Zone, the edge just outside my Comfort Zone where I’m exploring and growing, but not too far out so I get scared and go into the Panic Zone. Just having that guidance helps me live more of my life in the Learning Zone, where the juice is. 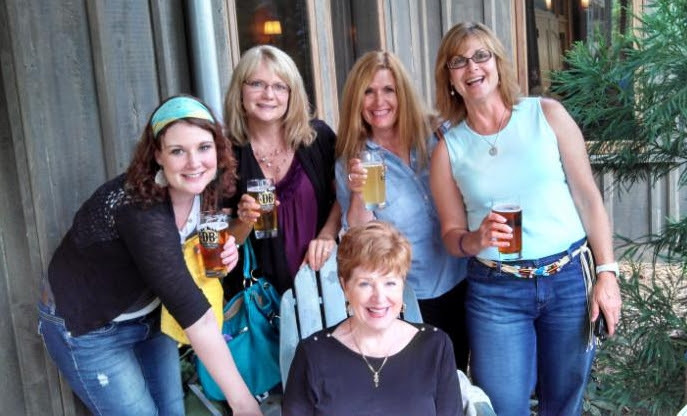 Then, when my individual program was up, I joined Christina’s nine-month SOAR Coaching group, to continue the enrichment of Christina’s teachings in an expanded group setting. Christina gave us a strong structure to practice new ways of creating our lives, and encouraged our mutual support and inspiration. For instance, one woman and I discovered we had complementary strengths: I was a visionary, while she was a planner. I deliberately sought her out as my accountability partner for the month, so we could learn from each other. 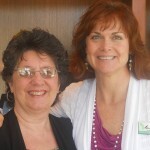 My enthusiasm inspired her, and she guided me to increase my organization and follow-through. 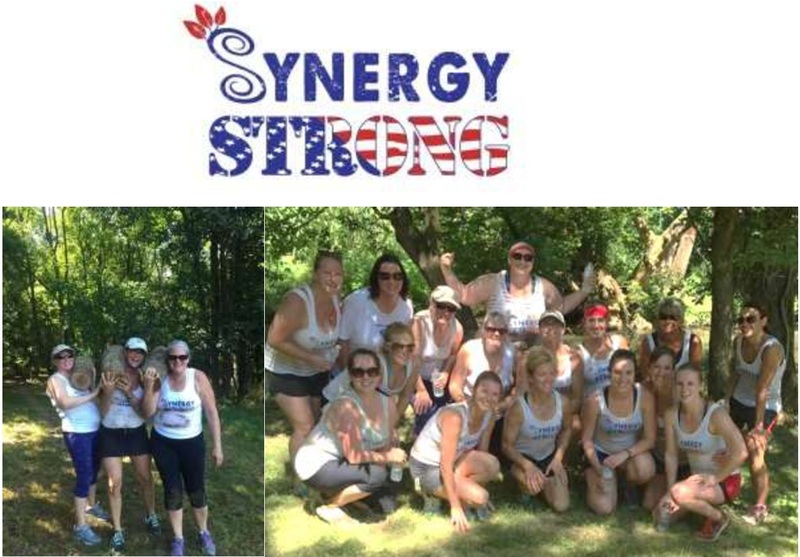 Synergy Success Story: Jamie Calcagno-Roach! “When I think back to a time before I started working with Christina I can clearly remember the struggles I was having in my life and not knowing how I was going to dig my way out of what seemed like multiple holes that were just getting deeper and deeper. My first meeting with Christina was the brightest ray of sunshine that helped me clearly see I had the power to turn these struggles into opportunities. I now have a toolbox of strategies to use when I need some extra help that I continue to replenish every time I meet with Christina. Synergy Success Story: Bille Jo Fulk! “Where do I start? Christina came into my life at a time where I needed her most. I was lost in so many ways! She taught me how to think about things in a whole new way. She taught me how to find out who the real me is. She helped me dig deep into myself and bring out who I really wanted to be and what I really needed in life and deserved. She always made mefeel like a stronger person. Now I am that stronger person. She made me see a new way of how to see the world and things and people around me. And thinking positive was hard for me sometimes, but Christina made me see that thinking negative only made me feel worse because those things never happened. (Just Thinking in a whole new way, will change everything.) Why waste your time thinking about all the bad that could happen, when you could think about all the good that could happen? I have found so many doors to open and Christina lead me to all of them. I never could have imagined that things in life, in whatever it is could be so much better if you would just think about them in a different way! The mind is a powerful thing!!! I will walk through my path leaving all the negativity behind me…and if I am walking and it tries to push itself upon me, then I’ll walk a little faster…leaving it in the dust. 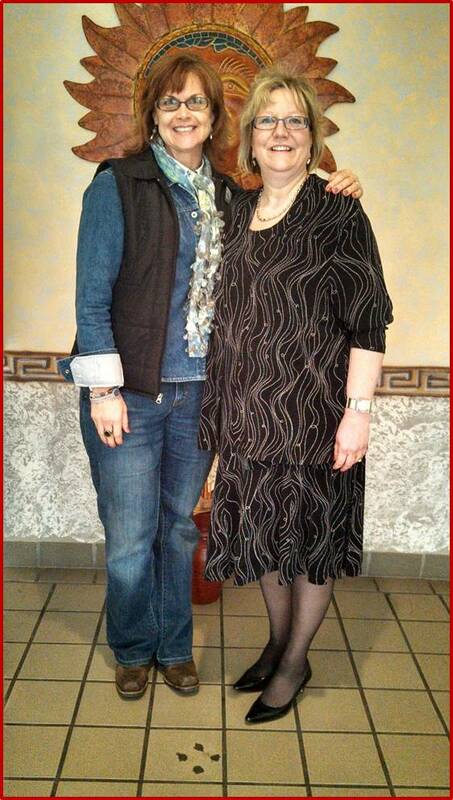 Synergy Success Story: Janene Good! Have you ever been “stuck”, or felt like you were “circling the drain”? Or had unhealthy patterns that were hard to let go of, or move beyond? That was me last fall and I just didn’t feel like myself. There were a variety of reasons for that, but it was up to me to overcome it and take responsibility. My happy, joyful self was buried and I needed “me” back! I partnered with Christina to work together to move forward to a healthier place. Together we focused on my core values, my strengths and developing Stellar Self Care. Am I perfect at that? Absolutely not, but I’m more aware and I’m in a much better place and continuing to move forward. For me, I needed to work in partnership. It helped me to be accountable, and provided additional healthy, helpful insight to move to a better place in life. I’ve learned how to develop a meaningful morning practice, to live more intentionally, and to react differently in unhealthy situations (most of the time). We hear so much about saving for retirement and putting money in a retirement plan. I think it’s important to invest in our health-our whole health (mind, body and spirit). This partnership with Christina was an investment in me! I work in healthcare and see the effects of choices all of the time-some good choices and some not so much. Just like exercising or eating properly, developing great mind-body-spirit connections is just as necessary-in fact, it’s imperative for true wellness. Christina is an awesome coach and friend! I’m truly grateful for her being a part of my journey! 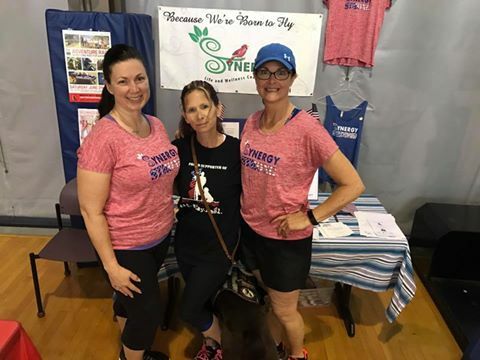 Synergy Success Story: Lynette Johnson, R.N.! 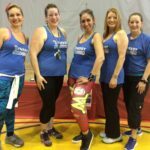 Synergy Success Story: Melanie Rowan! “I have been self-employed for over ten years. I am a senior graphic designer and operate as a freelance print designer. I have wonderful clients and work very hard to keep them all happy and confident in the service that I provide. In addition to my graphic design business I manage a small farm, cook every day and keep up with the demands of our family’s household. I love and thrive on being busy. Transformation Success Story: Andrea Nichols! I used to shop in the boy’s section of Old Navy! Did you ever wake up one day and feel like someone had installed an entire set of speedbumps in your head? You didn’t know if you should just try to leap over all of them or tear them up by your fingernails or just sit in the middle of the road and cry. The emotions and sensations are new and overwhelming – especially if you’re speeding through your days like a race car driver without a map yet wanting “control” of everything going on at the time. That was me, 6 months ago, when I crashed headon into my own major speedbump of life, the death of a beloved parent. The loss of control and pure inertia was disabling. A random surfing link from a spa massage website to Christina’s website (a marketer’s dream) took me down a new road of life coaching. With Christina’s guidance, I found the way to remove a lot of speedbumps, not just new ones, but old crumbled ones that were stuck in my wheels, banging around in the most annoying way. I learned techniques – simple ones – to break disorganized thinking and embrace change, fear, anger amidst sorrow and disorientation. The final outcome was a new Mission Statement which defined my new roles and clarified old ones. My new roadmap is an awesome tool, it helps me stay “between the lines,” with achievable goals for success in my business and personal relationships. Thank you Christina, for these new techniques – boundaries, compassion, grace, embraced emotions and most of all, “Sister Friends through the Synergy Success Circle.” I encourage anyone who has hit a Speedbump of Life to let Christina help you navigate that challenge. Learn the techniques on how to become elevated, not disabled, from your own professional or personal challenges of the road. 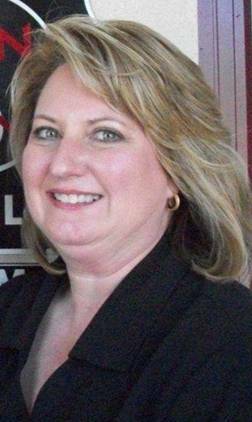 Synergy Success Story: Kim Landis-Hamner! 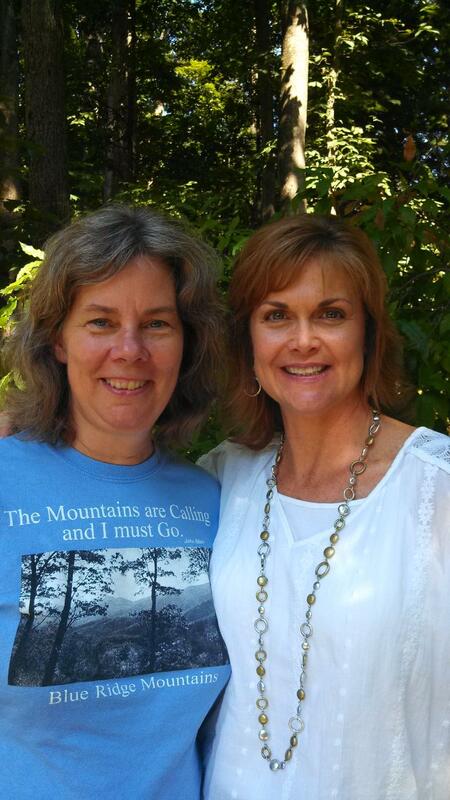 When I called Christina for coaching, I felt I had reached a stagnant point in my life. I was facing a time that I thought I might be making some big decisions and changes. I knew what needed to be done but I felt like I did not have the energy to do anything. Christina literally made the earth shake; maybe it wasn’t her, be we shared an earthquake during our first session and believe me, I took that as a sign! Even from the first coaching session there was a momentum that I felt catapulting me into a new thinking process which changed many aspects of my life. 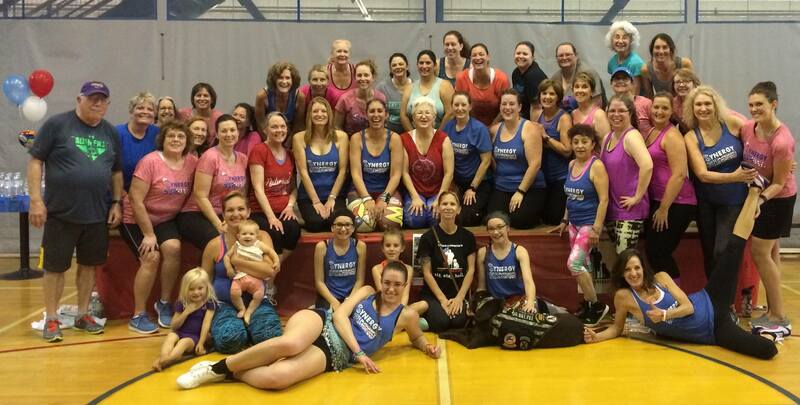 Synergy Success Story: Phyllis Friesen! 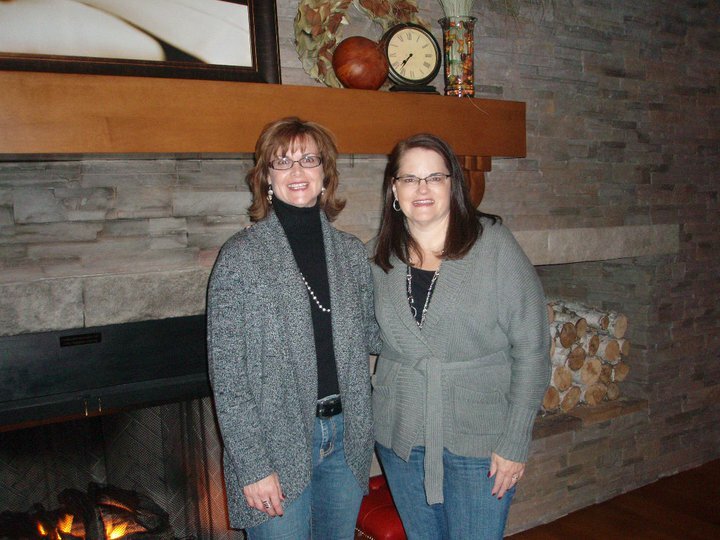 Synergy Success Story: Cathy Leitner! “When I first met Christina in 2010, I had been a successful business owner for more than seven years. I was doing the work that I loved – practicing law and helping my clients with their estate planning. Although my business was thriving, my success had come at great personal cost. For years, I neglected my health and wellness and my family and friends. I was on the brink of total burnout. With Christina’s coaching, support and friendship, I completely changed my life. I put myself first. I joined the RMH Wellness Center and made working out a priority. I practiced relaxation techniques and learned to leave my work at the office. Christina taught me to be completely present in each moment. A year later, my business is more successful than I ever imagined, I spend less hours at work and more time at home with my family and friends, and I have maintained a regular workout schedule that has helped me to lose 70 pounds! I am stronger, healthier and happier than I have ever been before. Meet My New Friend Flossie Who is 98 Years Young! I almost didn’t come today and had so many excuses not to, but I’m so glad I was here! Thanks for all the tips for how to respond to stress in healthy ways! I don’t feel so overwhelmed now. I am reminded that taking good care of me is not selfish, it’s essential. 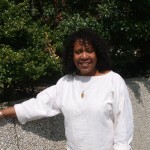 Synergy Success Story: Marsha Mays-Bernard! Before I began business coaching, I used the phrase, “I am going to” a lot when I was referring to starting my consulting business. I had a lot of ideas about what I wanted to do, but a full-time job and a busy life kept interfering with implementation. I was in a holding pattern, felt overwhelmed and was not making progress. Since I started coaching with Christina, that phrase has been replaced by words like “established” and “launched”. I am very process-oriented, so it has been invaluable for me to have someone to listen to my ideas, give me feedback and help me brainstorm. Organizing my ideas and setting realistic, measurable goals has assisted in making them a reality. Three months into coaching, I successfully launched my business with a well-attended workshop that garnered positive feedback from participants. It felt great! Another thing that has been helpful is using the technique of time blocking, identifying periods of time, set aside and put on my calendar that I use specifically for working on Dynamic Balance. With a number of things vying for my attention, this insures that I accomplish the goals I have established for my business. One of the greatest benefits of coaching is the accountability component. Being accountable to someone other than myself means that I am less likely to move Dynamic Balance work further down on my list to make room for something else, when I know I have an upcoming coaching session. The coaching process is helping me stay organized, energized, focused and productive. 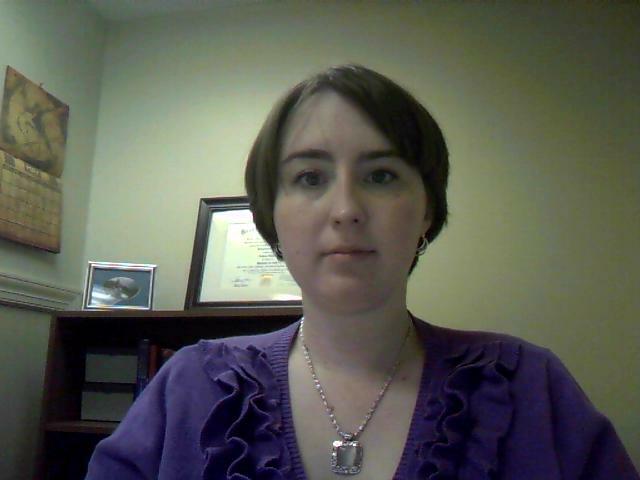 Christina has well-honed coaching skills, but she is more than just skilled…she is a gifted coach. She listens both intently and with intent. She poses questions for me to address, which keep me moving forward in a very positive way. She is generous in sharing her knowledge and experience and she is fully present in each session. I am grateful to her for helping me on my journey. I would recommend this program to anyone who is starting a business and wants guidance, direction and support to assist them in making their dream a reality. I loved learning the breathing exercise. Now I will breathe to thrive! 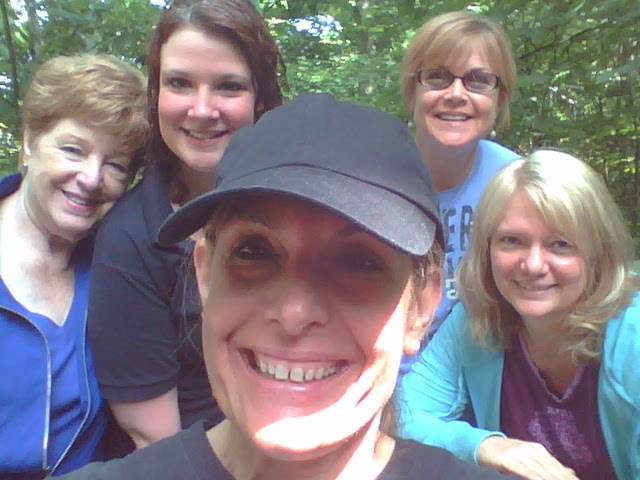 What a fun, refreshing afternoon retreat! It was interesting to look at work from a creative perspective. Thought-provoking, inspirational and meaningful. Thanks! “I commend on your ability to take a leap of faith and get your life in balance. I completely understand it’s an ongoing process that you must dedicate and prioritize each day. We also need to be grateful for each opportunity and experience that we go through, no matter how hard it is, it truly makes us the person we are today. So in saying this I will just say I was grateful I had the chance to be in the work-life balance seminar today, you are an amazing speaker and have a tremendous gift.One of my children’s favorite story book characters once said; People will forget what you did People will forget what you said, but they will never forget the way you made them feel. ~Winnie the Pooh Thank you for inspiring me. 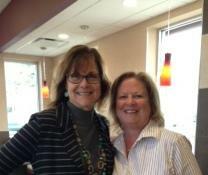 ” ~Tammi S. Privott, NewBridge Bank Vice President ROM,Harrisonburg & Coastal Regions. “Awesome! I love your calm, confident manner, and your laughter! Great to be part of audience particiption. Great Information on Work-Life balance! Glad I was here today. Thanks for reminding me to be grateful for everything, and that things happen for me not to me. I have a choice of whether to react, retreat or respond in the face of my challenges. I was reminded how important it is to build a life, not just a career. I see how people are who they are and do what they do based on their “color” & helps me accept others for who they are & not who I want them to be. Today was a real eye-opener…Thank you! I appreciated the open, honest, safe enviornment of our retreat. Thank you so much. I was provoked to think aabout what I really want and how to get there. Getting in touch with my goals and where I am in my life. Nice afternoon session~~Thank you! It was helpful to plan goals for the near future instead of making big picture goals that seem so far away. The career maps exercise was great. I enjoyed talking about our maps. Great session! I learned to identify when I’m headed into the panic zone. I feel rejuvenated and empowered to act in a way that enhances my ability to be effective. I appreciated the use of multimedia and hands-on activities which help people better understand the material. Thank you! You did a fantastic job. All the tips were very very helpful…They will be posted in my office! Having the time, space and opportunity to actively reflect on my whole life, not just my job was much needed. 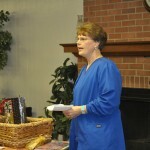 “Christina’s Empowering Seminar was even better than my expectations! 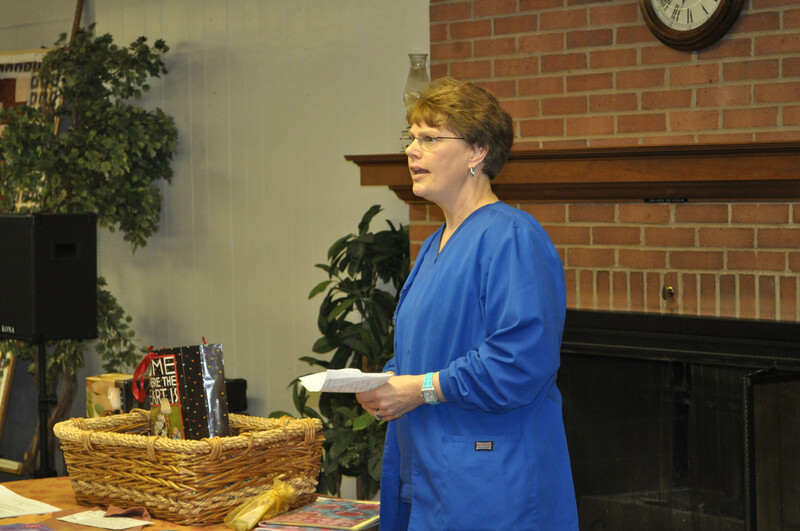 The Nurses were engaged, comfortable with sharing themselves, and interacted more than ever because they were at ease.” ~Donna Hahn, Vice President Acute Care Chief Nurse Executive Rockingham Memorial Hospital. I needed the reminder that taking care of my patients in the highest way includes me! It was great to learn all the tips for staying empowered when communicating. I will make a better effort to set boundaries with people who talk down to me. I learned that what other people say and how they act is NEVER about me. You gave great handouts, there was great participation, and it was a positive experience. 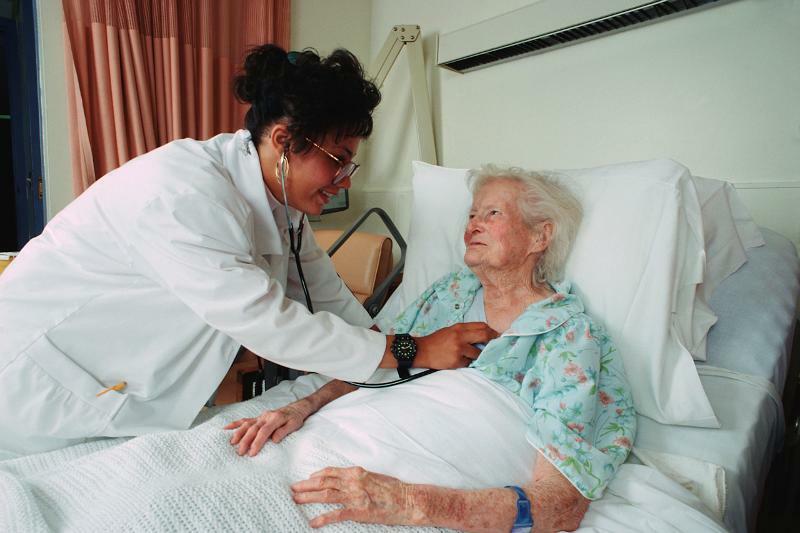 All the nursing staff should hear your information! I appreciated the high energy presentation. Everything today was helpful, especially how interactive the discussion was. I got a chance to be heard, and to hear everyone else helped me see I am not alone. The Breathing technique is something I can use anytime, anywhere to stay calm! Great tools to decrease stress~I love the breathing and stretching exercises! I really loved the session. It was well worth my time. Awesome day! Much needed day of renewal. Everything was just great ~Thank You! The Wellness lunch was incredible. This day was Beyond my expectations! “I would like to let you know how uplifting and inspiring it was to meet so many women of accomplishment, courage and kindness at the Synergy Success Circle. Thank you, Christina, for inviting me and I look forward to connecting with all of you again soon!” ~Laurie DiSanto, New Market, VA “I am SO ENERGIZED after our meetings! Who needs caffine or energy drinks?!! 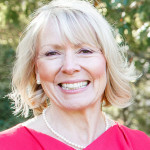 Just go to a Synergy luncheon!” ~ Kitty Purcell, Farmers and Merchants Bank “When I started attending the Synergy Success Circle, I wondered if I would be able to maintain my attendance, with work and so many other things requiring my attention. What I have found is that the Circle is such a pleasurable experience; I look forward to going and rarely miss it! It’s provided a wonderful opportunity to meet new women and establish new relationships, both business and social.” ~Marsha Mays-Bernard, Associate Vice-President of Student Affairs at JMU. The women who attend are at all different places in the life cycle, so there is an opportunity to hear different perspectives on the same topic or issue. .. It is a great pick me up in the middle of the week, to help you finish your week strong! I love the practical tips I can use right away to step forward to a happier, healthier me.